Whether it’s tailored recommendations, contextual advertising, or dynamic pricing, machine learning rapidly made its way into marketing. Brands can now leverage the technology to deliver customer experiences that mirror our new content consumption patterns and lifestyles - dynamic, rich, and on-the-go. Research suggests YouTube videos are a preferred tool for marketers who want to drive user engagement and purchases. Indeed, since video enables users to visualize the brand story better than text or images, it has a higher likelihood of driving active user engagement. Embedding videos on a website also makes brand discovery more enjoyable. Video compels brands to communicate concisely and effectively, helping visitors get the information they need faster than through text. Video also helps conversion. It makes it easier for people to remember the brand message and connect with their story, increasing the chances for them to come back and turn into paying customers. Video is a powerful way to build trust and position the brand, and adoption of video for marketing is rising among brands and marketers. According to Unbounce, including a video on a landing page can increase conversion rates by 80%. 87% of online marketers already use video content and the number of businesses using video as a marketing tool has gone up by 35% in 2018 compared to the previous year. A diversified offer of video content is proposed by marketers, ranging from product promotion to instructional or brand development video content. According to Curata, the top three most effective types of video are customer testimonials (51%), tutorials (50%), and demos (49%). Embedded website videos have a positive and measurable impact on marketing results. SEO results : Companies that use video get 40% more web traffic from search than companies that don’t. A 2017 Cisco study forecasts that video will represent 80% of all internet traffic by 2021, and video content is 50 times more likely to drive organic search results than plain text, according to Omnicore. ROI optimization : 87% of marketers feel video drives positive ROI, and companies that include videos in their marketing report 34% higher conversion rates. Consumers reportedly spend 88% more time on websites that show video content, and Google reports that nearly 50% of users look for videos about a product or service before visiting a store. Showing your audience the right video at the right time is critical to delivering a personalized and relevant brand experience. Machine learning techniques can analyze massive amounts of data - from explicit, demographic customer information to inferring tone or sentiment - in order to find underlying patterns and correctly detect customer preferences and personal interests. Learning what is most effective for each visitor enables marketers to deliver video content that is truly relevant for their prospects. Customers are not all the same, so different engagement techniques or incentives should be used. Machine learning technology can interpret data from social activity or shopping activity to identify complex behavioral patterns. Marketers can correlate this information with customer journeys for more precise segmenting that ensures each user is shown the appropriate content depending on their profile, stage, and customer journey objectives. You can’t optimize what you don’t measure. Marketers typically rely on insights such as watch time or view-through rates. With machine learning, such data can be analyzed together with audience profile information, contextual information, and website behavior to enable brands to automatically pull the best YouTube content into their website. Feedback from this dynamic optimization allows marketers to create and serve video content that is ever more relevant and generates the best results. A/B testing optimization, manual segmentation, or video content scheduling can be enhanced when audience data can be interpreted and acted upon in real time. Relying on machine learning, these tasks can be automated and better performed so that only the most relevant videos are shown to users. This improves productivity by eliminating the time and manual effort for marketers to extract and read through the data, make decisions, and then implement them. 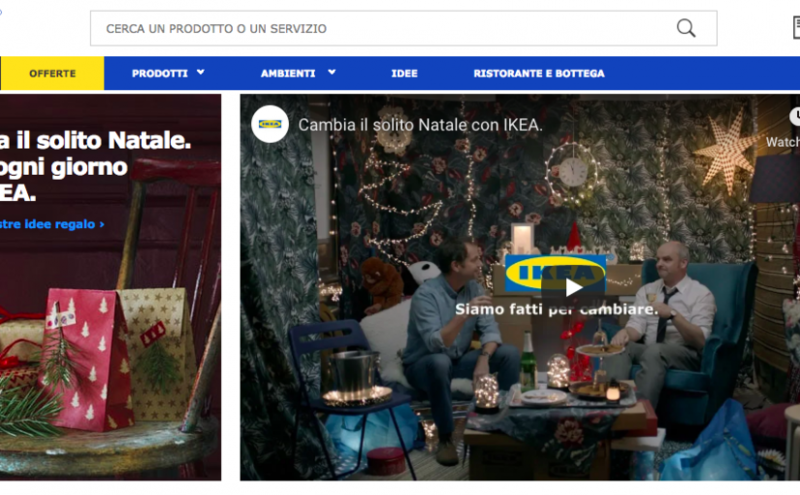 IKEA uses YouTube embedded videos on their website to promote their holiday product collection. 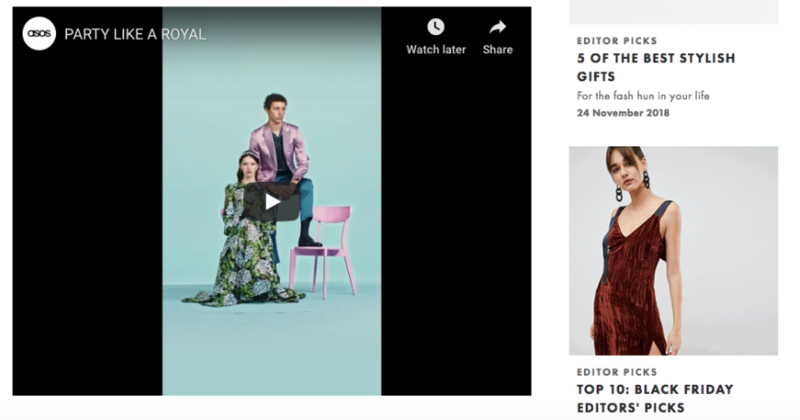 The video tells a short, memorable story that associates an emotional connection to the brand while enabling an interactive product discovery. This inspires and engages the viewer more than traditional product category browsing. Gillette is another great example of a brand that relies on YouTube embedded videos to provide educational content. Short videos are used to explain the technology behind the brand’s products, making it easy for consumers to understand what makes the company’s products superior. 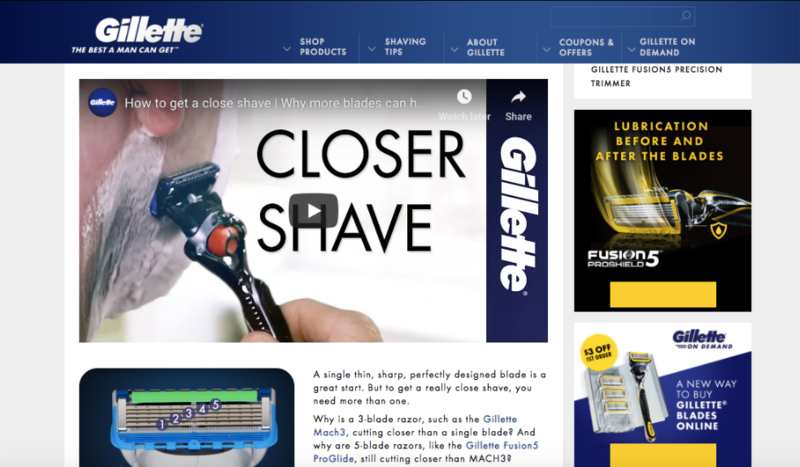 Unlike promotional content, Gillette’s instructional videos are mostly used to build the brand image and customer trust, rather than push for sales. Knexus is an AI decision making engine delivering hyper-relevant content experiences to customers in owned digital channels, plus colleagues in sales & account management, at scale & speed. Knexus uses AI & machine learning to automatically personalize YouTube videos, helping customers make decisions that increase conversion, loyalty and sales. Previous Previous post: How to leverage content using AI to improve sales team performance?